Innovaccer Inc, a healthcare data platform is passionately focused on delivering efficient and effective with extensive use of analytics. Analytics India Magazine got in touch with this San Francisco-based startup founded in 2014. 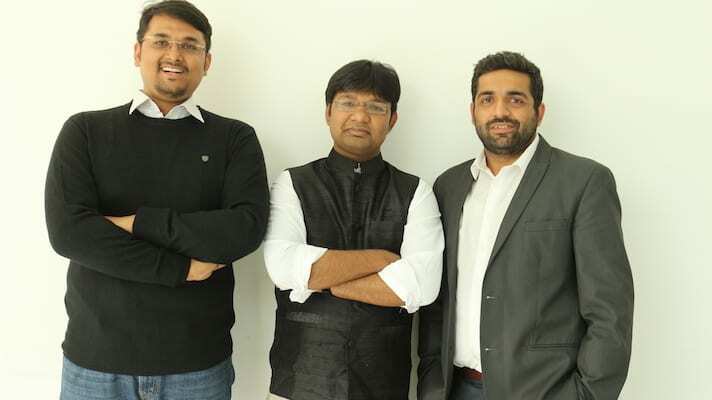 Co-founded by Abhinav Shashank, Kanav Hasija, who were batch mates in IIT Kharagpur, and Sandeep Gupta, who worked with Shashank at Ingersoll Rand, the co-founders realised that data across industries was growing, and it would soon assume a central role in developing smart strategies to innovate, but there was only one problem. This data was distributed across multiple large siloes and had to be combined, crunched, and analysed in real-time, to deliver an in-depth understanding of looming problems and driving innovation. And that’s exactly what Innovaccer’s big data platform enables today. As the co founders believe, be it the lab results in a hospital made for 100 people, or analysing the state of healthcare across the country, data can deliver crucial insights. “As healthcare is moving towards prioritising quality of care over plain numbers, predictive data analytics in healthcare has become more important”, says Shashank. “However, most of the care settings in the developed world are using multiple variants of data repositories from different vendors which makes it tough to create an integrated data infrastructure, hence reducing the operational efficiency”, he adds. Innovaccer’s focus is to help recognise high-risk patients that need attention, and offer insights to healthcare providers at the point of care — all this without asking physicians to leave their existing workflow. Innovaccer’s core product is InData, which is a Hadoop-based big data platform. It collects raw data scattered everywhere and integrates it, normalises it and parses it through its algorithms to provide trends and predictions in a structured, consumable, and ready-to-use manner. This data is hosted on a big data infrastructure that enables real-time insights for physicians and care management teams, where they can identify persons at risk, plan timely medical interventions and smoothen the care continuum thereon. All this is enabled in a SaaS infrastructure which ensures that all the learnings via data are made available to all the customers in real time. Big data and analytics by Innovaccer is thus enabling healthcare organisations to not only deliver efficient care but also do so in a cost-effective manner, thus ensuring high patient satisfaction. Hasija shared with AIM that initially the product was used across different verticals, ranging from finance and retail, to entertainment and healthcare. However, they soon realised that to create a billion-dollar organisation, they had to operate in an area which is small enough to drive focus and large enough to create an impact. “The first challenge on this road ahead was to find the product market fitment, validate their hypothesis and find an enterprise customer who would pay for the product”, he said. In 2014, when Innovaccer started off with a $1 million seed funding led by Rajan Anandan and Capillary Technologies, the investment proved two things for them — proof of concept and enough capacity to build a product that could solve data-related problems at scale. As the initial customers, the academia, were based in the US and the company had 100 percent of its revenue come in from the US, the leaders decided to set up a headquarter there. In 2015, Innovaccer had a healthcare customer from the US on board. Gradually, after spending a good amount of time looking for the perfect PM fit across different verticals, Innovaccer decided to focus solely on the healthcare market- even when it meant leaving 60 percent of their revenue on the table. The company went deeper into the market, hire subject matter experts, speak the customers’ language, and validate PMF rapidly. Ever since, the focus has been on providing a single product to a single problem set! As of now, the product has been deployed across more than 500 locations with over 10,000 providers leveraging it at institutions, governmental organisations, and several corporate enterprises. Some of its clients are Mercy ACO, StratiFi Health, UniNet Healthcare Network, Catalyst Health Network, Osler Health Network, and PHIX HIE, among others — all of whom are based in the US. The company raised a Series A round funding in 2016 of $15.6 million led by Westbridge Capital. It also just completed their Series B round of funding and is currently focused on scaling up the functional team. Gupta says, “Mercy ACO, one of the largest accountable care organisations in the Midwest US was an expansive healthcare network, based across 65+ service locations, and had more than 3,500 physicians, and looked after 3,10,000 patients. The challenge that they were facing was distributed information. The health data for these patients was stored across 100+ clinical systems, and since these were more than 14 different brands, integrating their data feeds and standardising them was a major pain”. At this point the organisation invested in Innovaccer’s healthcare data platform to integrate these different data feeds, address the gaps in the records, and drive better clinical and financial outcomes. Innovaccer’s healthcare data platform assisted the organisation in pooling in all their data together in a single-source-of-truth. Built on a Hadoop framework, the platform could scale as the data grew, standardise different data sets into a singular schema, and created a foundation for analytics. The team created robust algorithms that could map unique data across multiple fields, like first name, last name, address and eliminate any redundancy. Ultimately, the organisation could create unique, longitudinal records for every patient, that let them view a patient’s visit history, episodes, risk scores, and all the relevant information in a comprehensive way. Since all of this data was available on a unified platform, the data was accessible in real time and could be exchanged among all the users on the platform — irregardless of geographic disparities. With Innovaccer, Mercy was able to reduce 1,100 care coordination hours per week, reduced the over-utilisation of their emergency departments by 6.65 percent, and reduced 30-day readmissions by 7.14 percent- putting quality in care on the frontlines. From being born in a small basement which could not accommodate more than 10 people to being a team of 190, and more than 300 dedicated developers and data scientists across the country working with them, they have come a long way. When bringing someone new onboard, the leaders look for three key attributes — passion for analytics, strong technical proficiency with cutting-edge technologies and structured thinking. The company also looks for its values in the candidates. As the company is extremely customer centric and outcomes driven, they look for people who reflect integrity and commitment to work. Innovaccer has so far released four versions of the product. Until the third version, the platform featured customisable dashboards, automated work queue development for care teams, dynamic care plans, and longitudinal, holistic patient profiles. The latest, Mars version of the product also has a data access layer and offers reporting on quality measures with over 800 measures. Additionally, it allows contract performance measure with a drilled-down functionality for a better understanding of the organisation’s network. It also comes with automated care management capabilities such as care program builder and one-click patient outreach campaigns. The fifth version, Jupiter, is currently under development and is focused on simplifying health care delivery for physicians. It has point-of-care notification support for providers, work-queue management, configurable logics, ability to track individual performances, and report on added quality measures. “Along with these, it also has a burst email functionality to share updates across the network”, Gupta said, in conclusion.